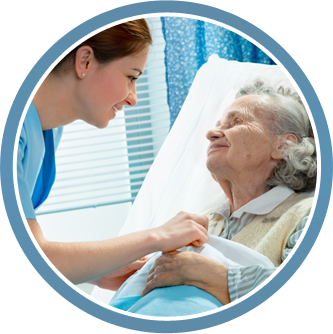 When it comes to getting you back on your feet, Southern Touch Home Health has the nurses and health aides to help. We make sure you receive the therapy that's right for you and lets you get back to living your life independently as soon as possible. All of our Care Team members are licensed. Education is one of the most important services we provide. By educating you and your family members, helps you maintain independent living. With education, you and your loved ones learn how manage your particular condition and how to handle any issues or concerns that might arise should a member of your Care Team not be around. As a member of your Care Team, Home Health Aides are there to help assist you with all of your daily living activities such as bathing, cleaning, laundry, cooking and setting up doctor appointments. We recognize you might not be able to do all the things you once did right away and are here to help any way we can. We are one of the few Home Health agencies that accept Managed Care and Commercial insurance. We work with several insurance providers including Aetna, Blue Cross/Blue Shield, Humana, United Health and Medicare certified. We are also one of the preferred providers for Humana, Aetna and United Health. We will handle everything for you and coordinate your benefits with your insurance carrier.